 Public Lab: Can I use the lego spectrometer to measure enviromental light spectrum? Question: Can I use the lego spectrometer to measure enviromental light spectrum? I want to know the spectrum of the public lighting used in certain area. They are supposed to use high pressure sodium lamps, but the only way to be sure is to analize the spectrum of such bulbs. 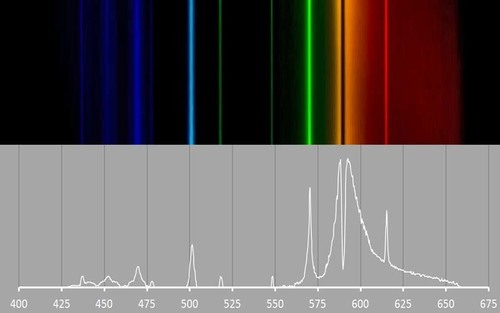 Does the lego spectrometer could be used to obtain the spectrum profile? if so, at what distance do you think that I could get usable readigns with this spectrometer given that I'm not able to get closer readings (i.e. If the lights are hanging at 10 m above surface level). I'm an oceanographer and I use to protect (or try to) the environment from all kinds of pollution. In this case I want to be sure of the type of bulbs because they were installed on the coastline, where turtles arrive every year for nesting, and hatchlings can be affected by excesive sky glow if proper lighting is not used. LED's then to have high blue peaks beyond 4000K, therefore much Rayleigh dispersion is expected from those sources, hence more sky pollution. I know there are scientist equipment like the Jaz spectrometer from Ocean optics, but I don't have the budget to spend $8,000 on such a device. Thanks in advance for all your work. Best Regards. 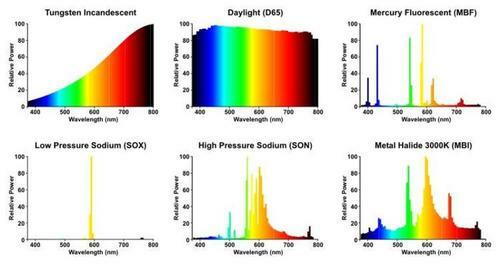 Sodium lamps have very distinctive spectral emissions, so it is fairly easy to distinguish them from other types of lamps. Once you become familiar with the different types, you can distinguish them with the naked eye based on color. Until then, a very simple spectrometer is all you need. I think any of the Public Lab spectrometers will work if they are built properly, but I have not tried them for this. It was very easy to get a good spectrum of a high pressure sodium lamp with a similar spectrometer I made. I was standing right under the streetlamp looking up (at nighttime) and there was plenty of light, but my spectrometer had a better camera than the Public Lab spectrometers. I could not find much information about which of the Public Lab spectrometers might be better at low light levels or for distant light sources. It might be that a smart phone camera is better than a webcam (Desktop spectrometer) or Raspberry Pi camera (Lego Spectrometer). It is also more portable than the other spectrometers. So a piece of DVD, a narrow slit, and a tube in front of your phone camera is probably all you need. When you get everything aligned, take photos until you figure out how to get a good exposure of the spectral patterns. A good camera app might help. You might not even have to upload the photos to Spectral Workbench once you learn the difference among the spectral patterns in different lamps. 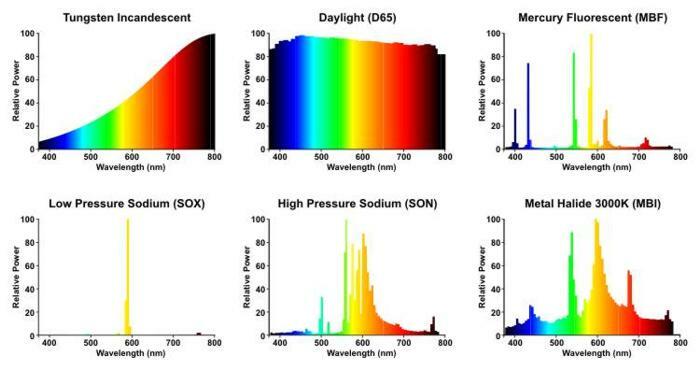 Above: Spectrum of high pressure sodium street lamp made with Ebert. Seconded, from what i’ve Seen so far the Lego spectrometer is more suited to being a desktop spectrometer. You’d need to cart around a power source and a way to interface with the pi. The camera connector also comes out really easy so you’d need to find a way to fix everything in place. Mine it taped down to a small piece of board.